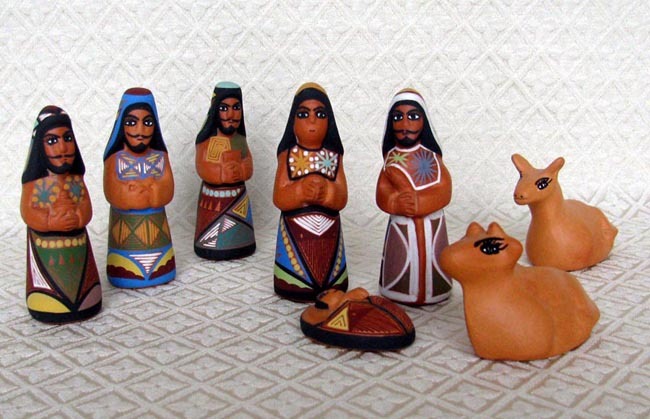 This Nativity set is made from fired terracotta clay in Venezuela. The pieces are hand-painted with native designs in bright colors. The artist is unknown. The set includes 8 figures: Joseph, Mary, baby Jesus, a cow, a donkey, and three wise men with gifts. The Joseph figure measures 3.5 inches tall.